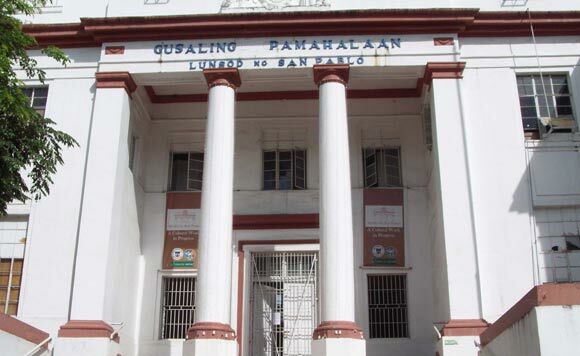 Chief Justice Lucas Bersamin has secured another property, this time in San Pablo City, Laguna, for the establishment of a complex for the judiciary. At the instruction of Bersamin, Court Administrator Jose Midas Marquez met with San Pablo City Mayor Loreto Amante on Friday (Feb. 8) for the donation of the property for the judiciary. “In the ensuing meeting between Court Administrator Marquez and Mayor Amante, the latter committed to donate a 1.5 hectare parcel of land in Barangay San Gregorio, San Pablo City, for their San Pablo City Hall of Justice,” the Supreme Court (SC) said in a statement. The SC noted the property will be the site of the San Pablo City Hall of Justice which will house, among others, the courts, mediation center, server rooms, data center, detainees’ holding rooms, lawyers’ lounge, and seminar rooms. Just late last month, Bersamin was in Cebu City to witness the signing of the Deed of Donation between Cebu City Mayor Tomas Osmeña and Marquez for Cebu City’s donation to the SC a 1.5 hectare for the construction of the Cebu Judiciary Complex. Angelica Jones turns emotional in visit to Brgy. Calihan: I miss my dad!